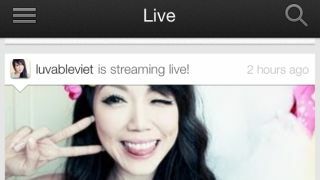 The YouTube app for iOS devices now allows users to access events live streamed through the video sharing service. The update, posted to the App Store on Monday, comes just a day after the first weekend of YouTube's live streaming of the Coachella music festival in Indio, California concluded. As many sites have already pointed out in their reports, it's poor timing for those who would otherwise have been able to watch the hugely popular event on their iPhone and iPad devices. A live stream of Psy performing his new single Gentleman M/V aired on Saturday, while sporting events, press conferences and popular online multiplayer games often appear on the YouTube Live site. The update also brings an enhancement for the AirPlay-style Send to TV feature, unveiled for iOS users in February after the initial Android roll out in November. Users can now queue-up videos to send to the compatible devices like Google TVs, and Xbox 360 and PlayStation 3 games consoles. The App Store listing also touts faster access to new uploads through 'My Subscriptions,' while there's also stability and performance improvements.